In a world that’s saturated with homegrown online mixes and corporate sponsored compilations, it takes a brave label to dive into the water. 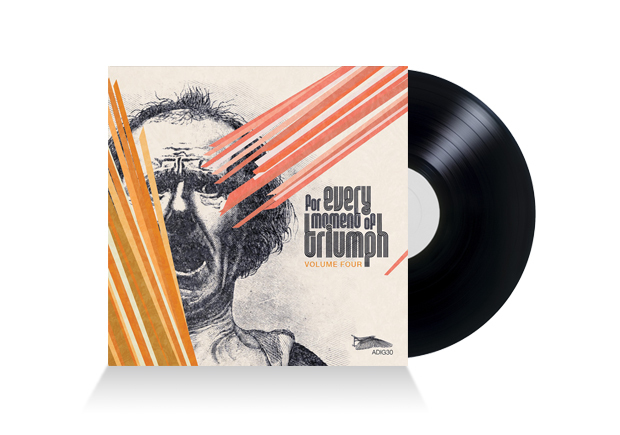 But that hasn’t prevented California-based Adjunct Records from showcasing their wares with the fourth installment of For Every Moment Of Triumph. They’ve attempted to ensure this release keeps its head above water twofold. First they have chosen a tasty selection of new and exclusive tracks and second they have co-opted legendary producer Blakkat (AKA Mark Bell) to mix them; initial listens seem to prove they’ve been successful. Bell has worked with the likes of Chez Damier, New Order and A Tribe Called Quest and in much the same way that Damian Lazarus did with his Fabric mix a few years back, he has used his vast experience to pick out a sophisticated group of tracks that will grow on the listener and produce something that can be enjoyed for many a month, rather than ditched after a couple of plays. Tracks move from the warm sultry deep house of Karl Kruger by Doubting Thomas through the jaunty piano of Fase & Dilo’s Don’t Tell Me to the slamming staccato bass stabs of Dapayk Solo’s Nutcase with its outlandish and unexpected breakdown. The tracks segue seamlessly in to one another and Bell works the peaks and troughs of the mix well ensuring this demands more than a cursory listen. One for the house heads.